This supplier has been audited by the SGS Group. 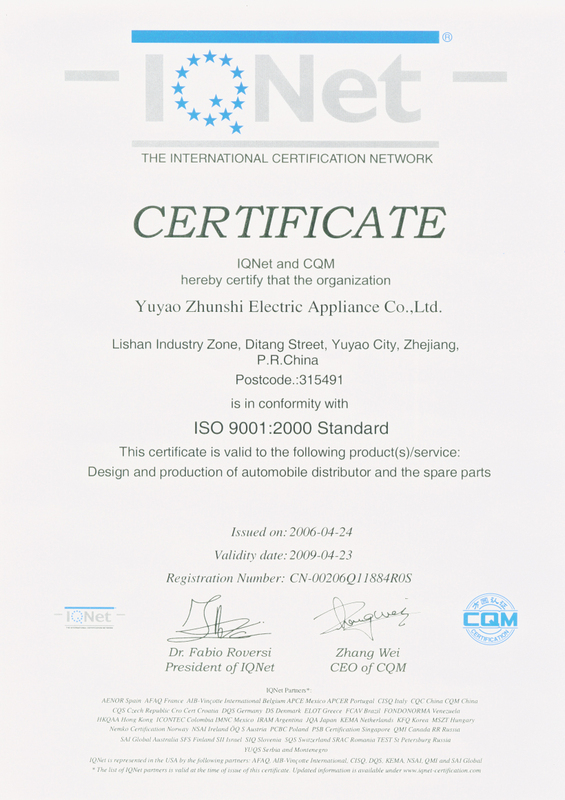 Yuyao Zhunshi Electric Appliance Co. , Ltd. was established in 1990, it lies in Yuyao of China, nearby Ningbo and Shanghai ports, the traffic is very convenient. It is one auto parts manufacturer for OEM and aftermarket. 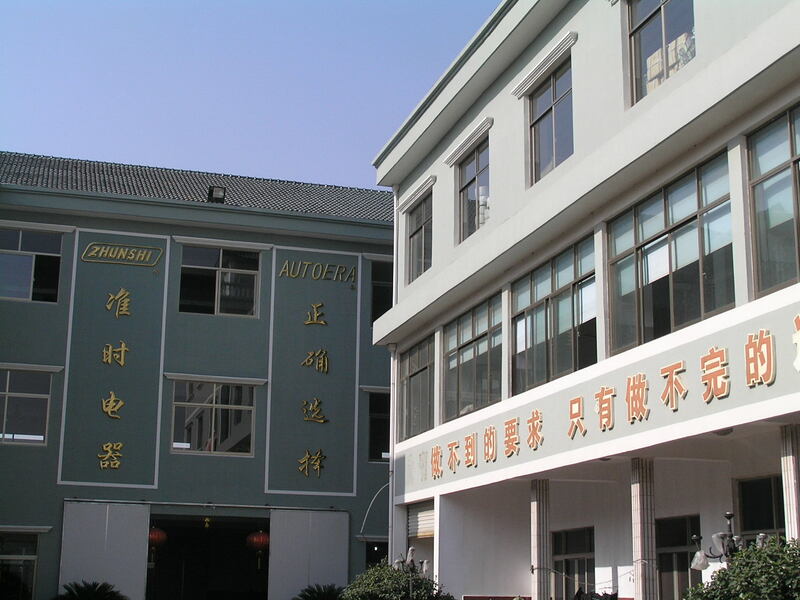 At present, it is the fixed production base of automobile ignition distributor of Shanghai Aviation Electric Apparatus Factory, China Aviation Industry Company. The products have more kinds of automobile ignition distributor, distributor cap, rotor arm, ignition module, distributor sensor, contact point set, electronic ignition,ignition cable set, punching parts and plastic parts. The company includes sales department, technical department, financial department, quality control department, production department. Our registered trade mark is "ZHUNSHI". Now we have registered "AUTOERA" . Our saleroom of distributor assembly is No. 1 in last 7 years in China. 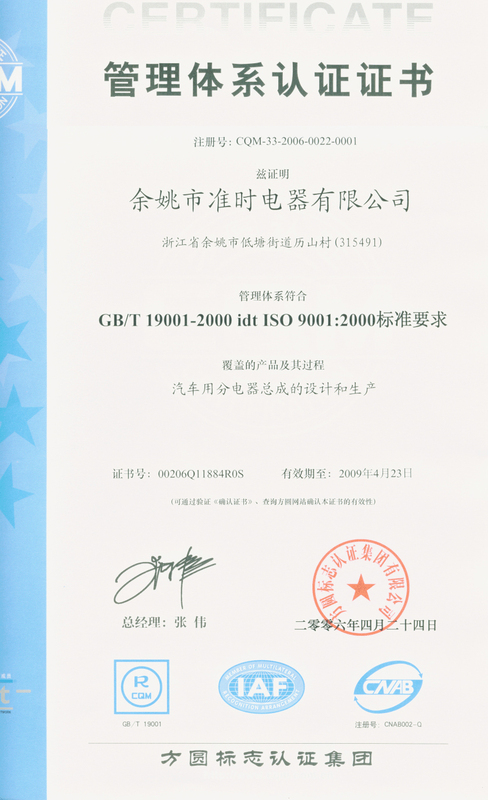 We have past ISO9001:2000 quality system, and we are ready to apply TS16949. We have lots of experiences for developing and designing new products, we have developed lots of models distributor assembly and ignition module. For example: electronic ignition（American named it Ignitor or electronic ignition conversion kit）, it adopts intelligentized IC, it could adjust the dwell according to RPM. Low RPM, small dwell, high RPM, big dwell. So variable dwell helps to maintain peak energy throughout the entire RPM range. Our customers lies in all over world, mainly market is Europe, USA, Canada, Middle East, Japan and Taiwan. Car models include honda, ford, gm, nissan, land rover, kia, lada, paykan, peugeot, fiat, vw, volga suzuki, etc. Company follow aims on "sincere to precise, practical to innovation", have gained customer's favor with best quality and lowest price . Welcome to all friends.